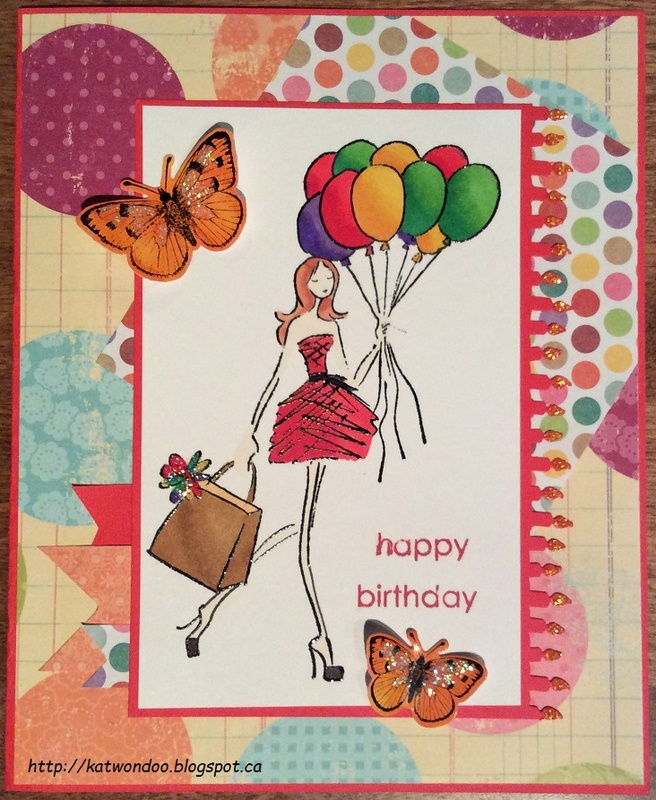 Yesterday, I made a birthday card using the stamp "La Soiree". I colored it with Spectrum Noir markers. I made the candles using a punch and decorated them with yellow Stickles. I added some patterned papers and fanions. My butterflies were stamped on glossy paper I previously inked with alcohol inks. I added Stickles as well on their wings and opened them for more dimension on my card. The sentiment was stamped with SSS ink. Such a fun and modern card!!! This is super cute! Thanks so much for joining us for Anything Goes on the Simon Says Stamp Wednesday Challenge blog! A lovely combo of layered elements, this just shouts party time! Wonderful, bright and funky card. The image is so elegant and chic!